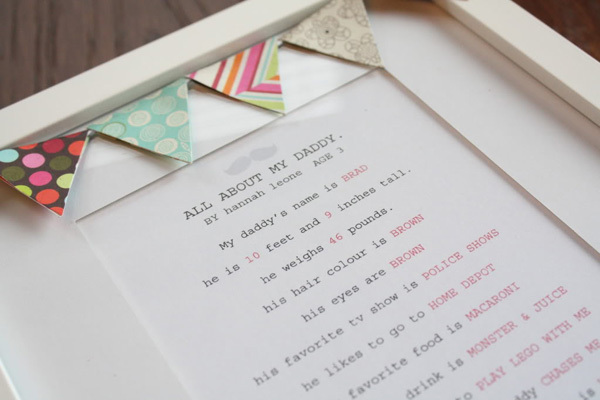 Father’s Day is big business in our home, the kids love to spoil Dad with their handcrafted gifts! Click through to find a few activity and gift ideas you and the kids can do from your very own home. 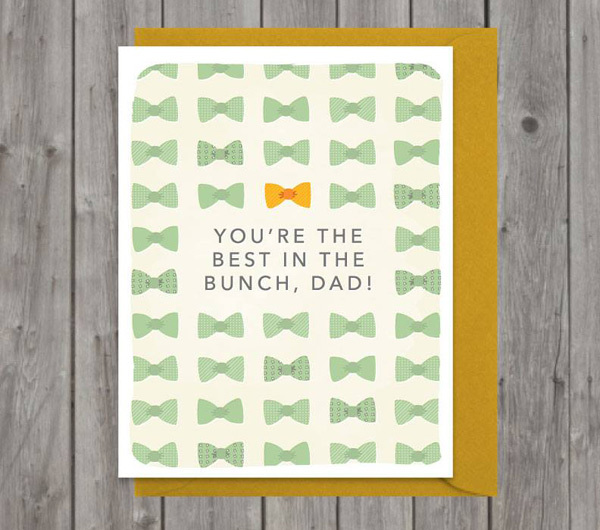 A Father’s Day card is a fabulous place to start in making something super special for dad and we love this free printable bow tie (above) version from Dress My Cupcake. 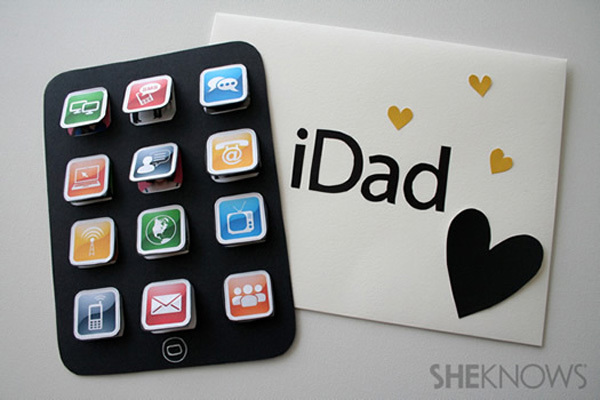 We’re sure older children will have a hoot creating Charlotte’s Fancy iDad card for tech savvy dads. 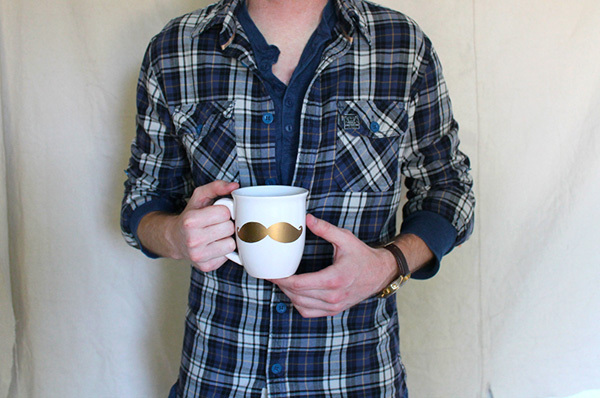 A moustache mug to present to dad with his morning hot cup of coffee or tea would be just the ticket to kickstart an awesome Father’s Day – and a gift he can enjoy long after the day has finished! I love it so much, I’m thinking every family member needs one. Follow this tutorial from Lynne and Lou on how to achieve such a fancy mug! 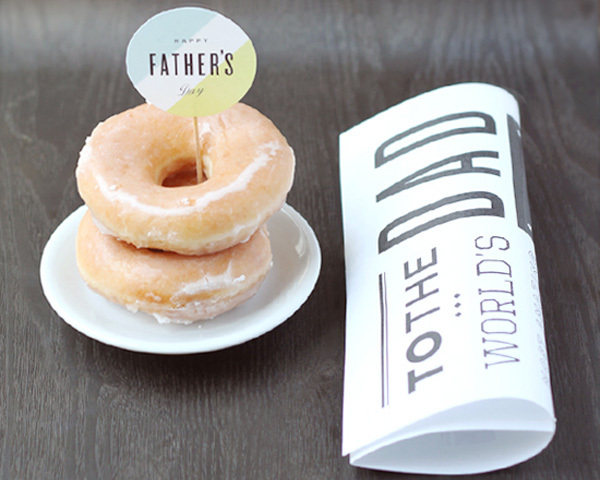 Alongside dad’s new moustache mug could be the rest of your breakfast line up – a stack of doughnuts (it is Father’s Day after all) or alternatively a stack of toast with a cute topper and the Sunday paper wrapped in a cute newspaper style card. Excellent for embellishing your breakfast tray and both are free printables from Minted. 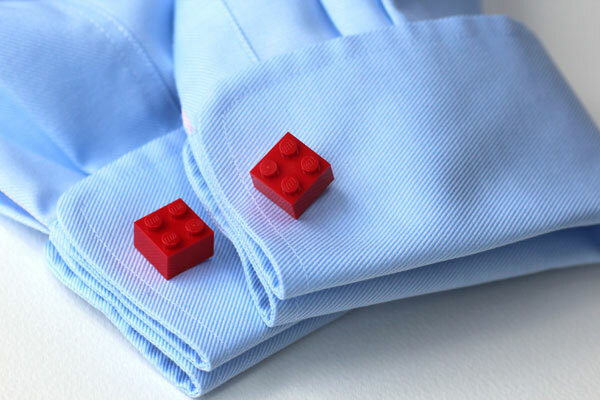 With breakfast covered, it’s time to move onto gifts – Kate’s Creative Space has some awesome ideas, such as these Lego cufflinks and then a great twist on the popular voucher idea that includes tickets to two hours of man-time and an evening in sole charge of the remote control – now what dad wouldn’t love that! For tutorials on how to do both, head on over to Kate’s Creative Space. It’s true, kids say the funniest things and wouldn’t dad love to know what they really think? I’m going to do this one myself with our youngest this year for my husband – a recorded dad interview or questionnaire. Pinterest threw up a whole heap of these, but I love how this one from Daffodil Design is presented. Would also look great in a double frame, joined by a drawing of Dad! 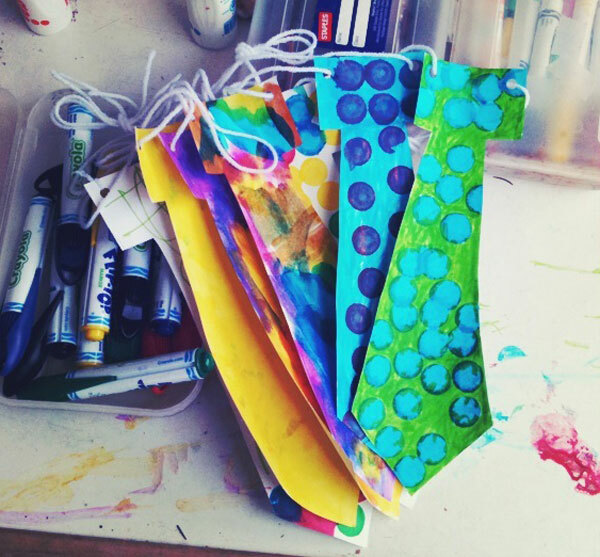 Younger children will love decorating paper ties, as seen here at Not Your Grandmother’s Blog – all you need do is cut a tie shape from card and set to it with paint! 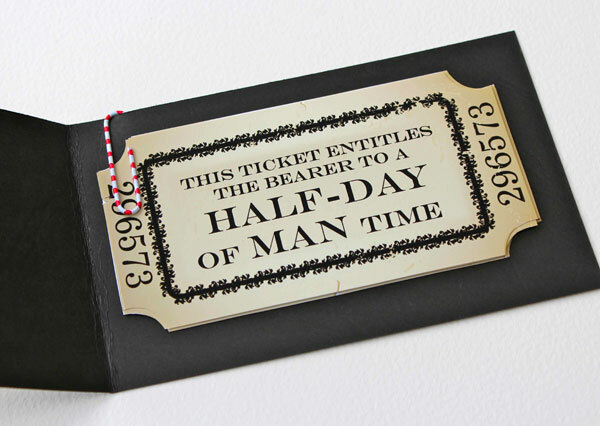 Add a bit of elastic so everyone can wear a tie at lunch, or join together for a tie-riffic Father’s Day bunting. Dads always need tools (one can never have too many hammers, surely?) 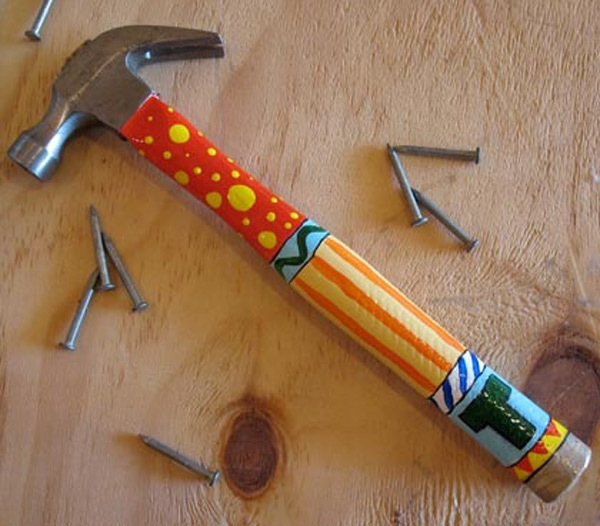 so why not take this opportunity to present to Dad a personalised hammer? Scour the shelves of your local hardware shop for wooden handled tools and you can make your dad his very own totem style hammer using this tutorial from Spoonful. 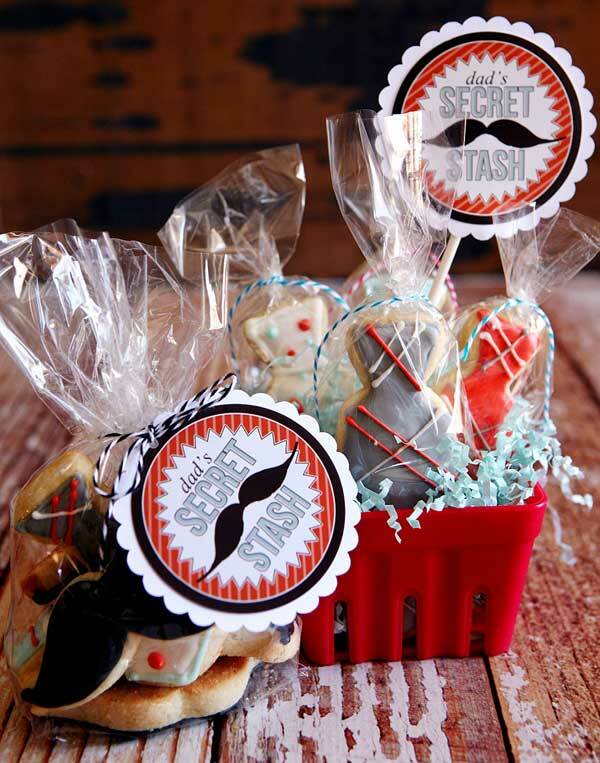 A sweet treat can’t be forgotten for Dad for morning tea and I think these moustache shaped biscuits are pretty special. Eighteen 25 have provided a great tag in the packaging and a cute little punnet style container could be recreated from an egg carton. We wish all dads a happy Father’s Day and if you plan on creating something handmade for the dad in your family, be sure to leave a comment below telling us what it is!